HomeBusinessIs it time to establish a Neighbourhood Watch? 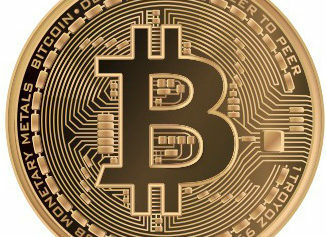 After assessing the damage done to my portfolio in the roller coaster ride of the 2018 markets, I made a resolution to better protect my assets going forward. But some of my dearest assets do not show up on the monthly statements we get from various institutions: our home, our car, and most important of all, our children. If you’re like me, you spend time browsing the Leaside Community page on Facebook. Lately, the number of posts about criminal activity in our neighbourhood seemed, at least to me, to be increasing – the frequency, the sheer audacity. I got a sense there was growing concern for the safety of those things most dear. Could it be so, or just fake news? With social media you never know. Was the anxiety truly warranted? Not wanting to raise the alarm bell unnecessarily, I felt it my duty to get some reliable statistical data first. So, I reached out to the Toronto Police Service and submitted a municipal freedom of information request. I also began querying TPS’s Open Data Portal (http://data.torontopolice.on.ca/pages/open-data). Here’s what I found. 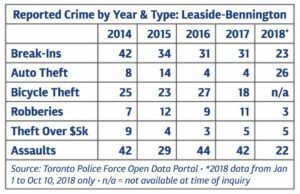 The table was compiled using reported data retrieved from the Open Data Portal and supplemented with data from a story that appeared in the November 2018 issue of Post City Toronto. Data for the 2018 full year was not yet available. At first glance, criminal activity in our neighbourhood appears to have remained relatively stable except for auto thefts. It is also important to note that about 20% of all reported criminal activity shown in the table occurred at commercial establishments where the activity was predominantly break-ins, robberies and assaults. Regardless of my own opinion, you can review the actual data and come to your own conclusions. Can we achieve this? I think so, especially if the effort is community wide and well organized. First, there are the obvious things we all know we should be doing. A quick search on the Internet yields a bonanza of checklists. Protecting your family and your assets against break-ins, car thefts and assaults should be high on the list. The TPS website www.torontopolice.on.ca/crimeprevention is a good first stop. It contains a wealth of tips, broken down by type of crime, to reduce your risk by eliminating the opportunity for criminals to act. Talk to your family, your neighbours, and the business you frequent in the ‘hood in order to raise general awareness and generate ideas on how we can make our neighbourhood safer. It is a serious topic I feel we all would share a collective desire to address. I also feel it is time to resurrect the idea of a Neighbourhood Watch. A member-supported, well-organized, action-oriented group focused on community safety. In Edmonton they have “Neighbourhood Empowerment Teams,” in Calgary they have “Block Watch,” and in Toronto there has been a recent surge in support for various Neighbourhood Watch programs. What these grassroots efforts all have in common is support from the City, the local police service, and residents willing to participate. Check. Check. Check (at least I think). Essentially, participants make a commitment to watch out for each other’s homes and report suspicious activities to the police and to each other. Their mission is simple: make communities safer by bringing them together to help protect each other from crime. I spoke with Didi Cameron, who was selected to be one of Toronto’s community police liaisons working closely with TPS representatives from 53 Division and others across the city. In her role, she provides advice and assistance to the local unit commanders and works in partnership to improve the safety and security of our communities. She also happens to be the individual who started the Lawrence Park Neighbourhood Watch program last year. Following that success, several communities have reached out to implement the same type of program in their own neighbourhoods. Didi’s programs do NOT use social media. Instead, they have assembled members-only groups where the administrator of the group has met all the members, and they rely on modern technology to improve communication and responsiveness. Google Groups is used to regulate security and trustworthiness in order to streamline and organize the groups’ communications. Only members can view group content, anyone can apply to join or be invited if they live in the included streets of the group, only members can post, and finally, only members can view the list of members. Didi’s tagline is: be aware, be safe and communicate. 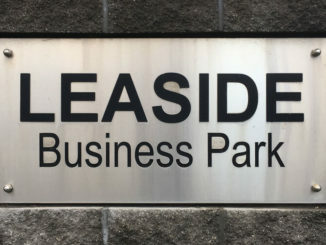 An opportunity exists for us as a community to improve the safety of our children, the protection of our personal property, and the safety of the businesses that choose to operate in Leaside. With enough interest, I propose we arrange a community meeting to discuss the idea of a Leaside Neighbourhood Watch. I for one would like to grab that opportunity. Wouldn’t you? 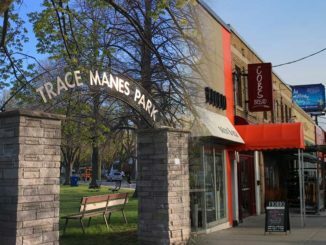 Do you think it’s time to start a Neighbourhood Watch in Leaside? Would you be an active participant? Do you think we should arrange a community meeting to discuss the opportunity? Let us know at leasidelife@gmail.com. 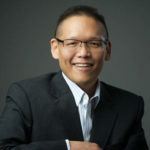 Leasider Glenn Asano is a partner and principal consultant for the strategy and business development practice at Centred Performance. He is also an Instructor with the Ted Rogers School of Management at Ryerson University.